« Returning to Battle School: Ender’s Game Movie Review (Spoiler free!) and Impression. Mrs. 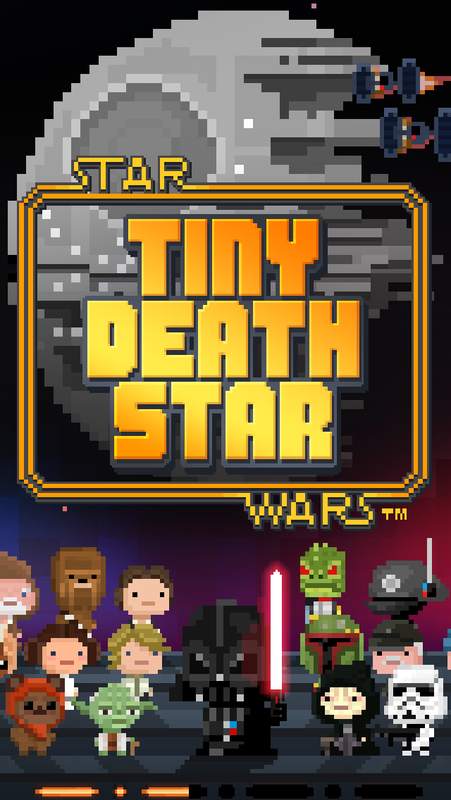 Uncommon Geek told me about an Android game called “Star Wars: Tiny Death Star,” and I immediately looked to see if it was available for iPhone! And it was! I immediately downloaded it and started playing it at work! And that was a mistake because it is an addictingly fun and cute game! It starts out before the beginning of Return of the Jedi. The Emperor and Darth Vader are having a meeting. The Emperor said he had a plan on how to fund the completion of the new Death Star! Vader says “As do I. We must seek employment, master. I will update my resume…” And the Emperor promptly stops him and explains to him that the plan is to basically turn levels of the Death Star into shopping and apartments! The whole game is cute! If you have ever played “Tiny Tower,” this is basically a reskin. I’m not sure if you are playing the roll of Vader telling people what to build, or if you are playing the roll of a private construction contractor. As you add to the Death Star, you get requests to run the elevator for the people living and working as civilians. And furthermore, they do not restock the stores on their own when the stores run out… you have to tell them to restock. But, don’t let that stop you from trying the game! Because it’s free! Each citizen, or “bitizen” that comes to the Death Star is pretty much required to work if they wish to live there. As with “Tiny Tower,” each “bitizen” has a dream job, and are happiest if you put them into that job. I haven’t been able to put anyone in their dream job as of yet, because everyone is constantly reordering stock, and you can not reassign their occupation while they have an outstanding order. I am very surprised how popular blue milk is on the Death Star. Sometimes, I turn on push notifications for apps that I am curious about so I can get the full effect. If you try this game, I warn you now… Every time a shop on the Death Star runs out of ANYTHING, you will get a push notification. If you have the games notification sound turned on, R2-D2 will bleep at you loudly in your works very quiet break room on your lunch and have everyone look at you wondering what the frak that sound was. Furthermore, the game tries to make you paranoid by suggesting that you attend to the notification before Lord Vader finds out. Their are two types of currency used in the game, and in game purchasing options for both; Credits and Imperial Bux. Credits are used to build new levels on the Death Star while the Imperial Bux can be used to purchase extra credits or to expedite construction or orders in stores. Needless to say, managing both forms of currency takes a little bit of strategic planning, more so than I would have expected from a cute game. If you like cute games that draw you in using parts of your childhood, and keep you coming back for more blue milk while helping the Empire, then definitely check this game out! I give it 4 out of 5! So, does this mean that the Rebels really did kill civilians in the attack of the second Death Star? That’s another topic for another time.